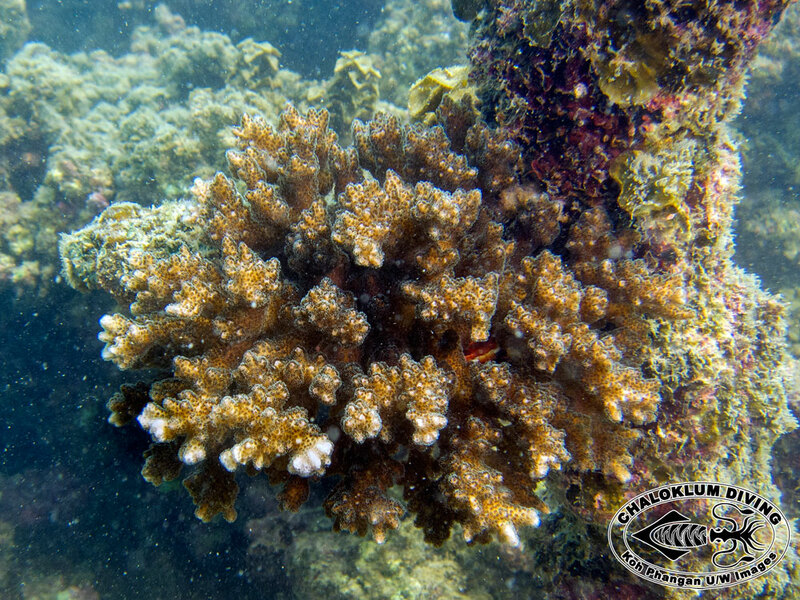 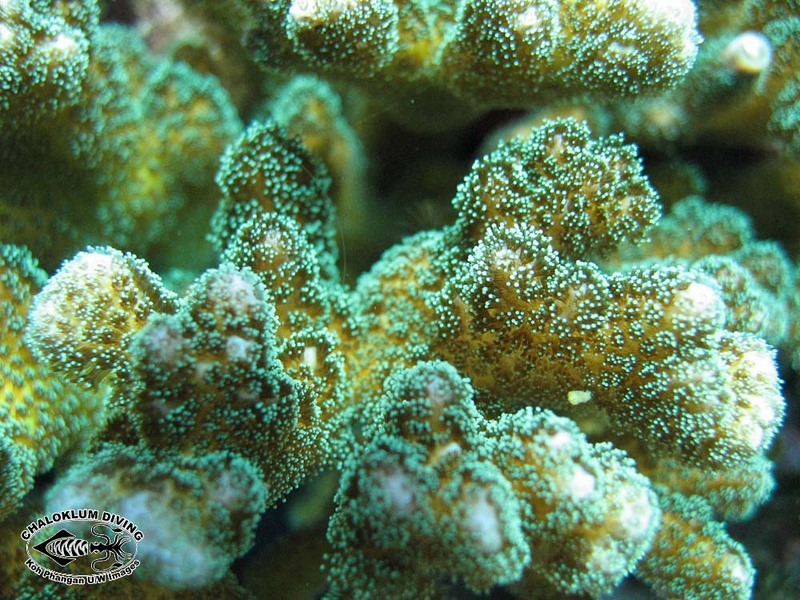 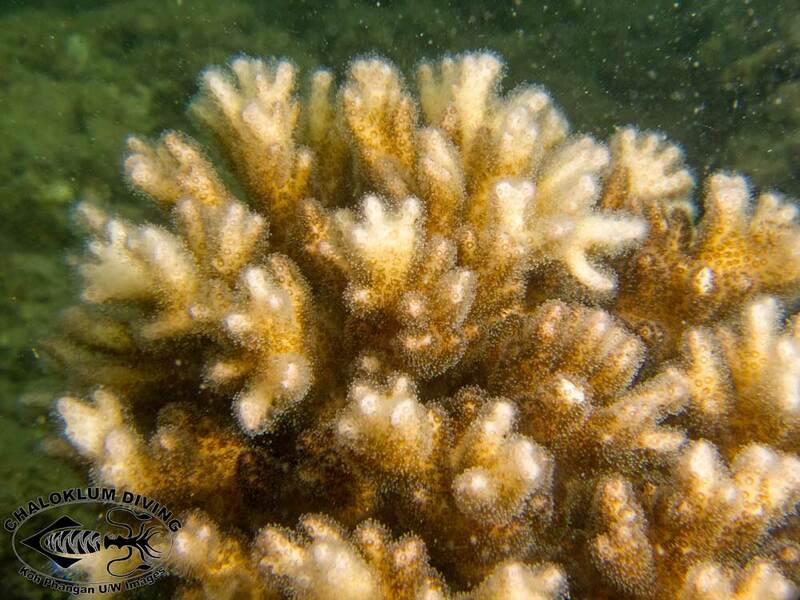 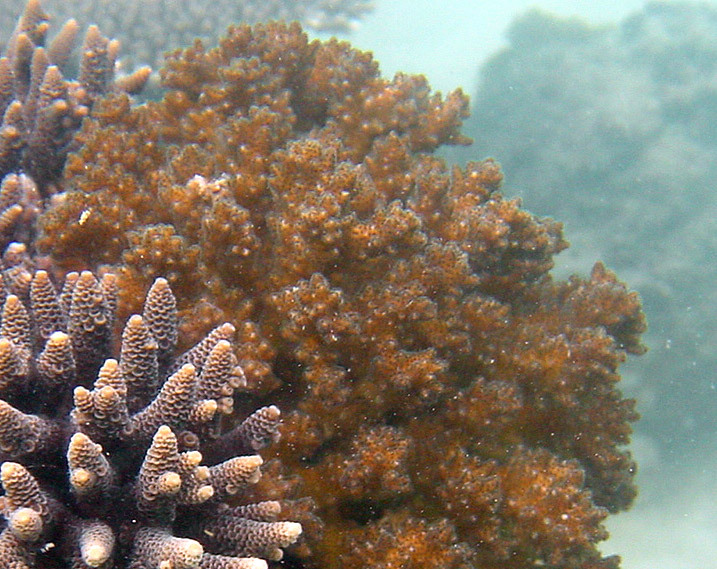 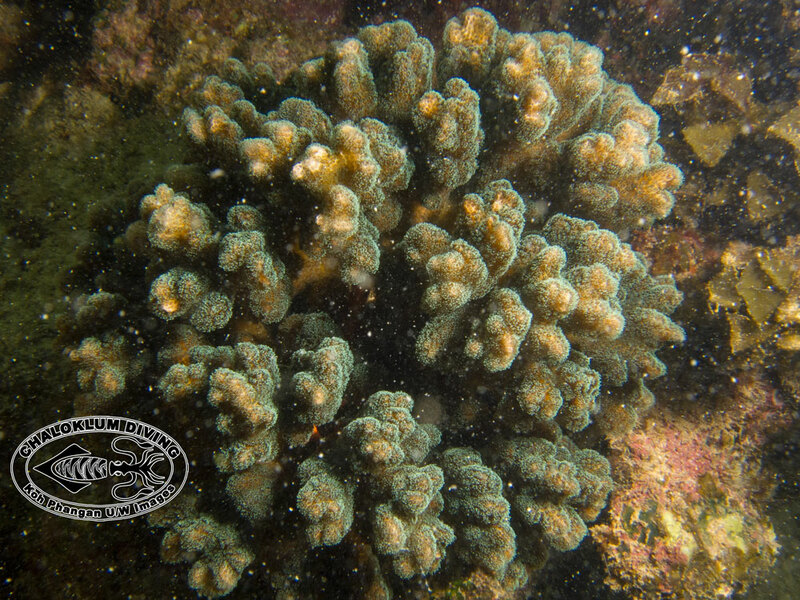 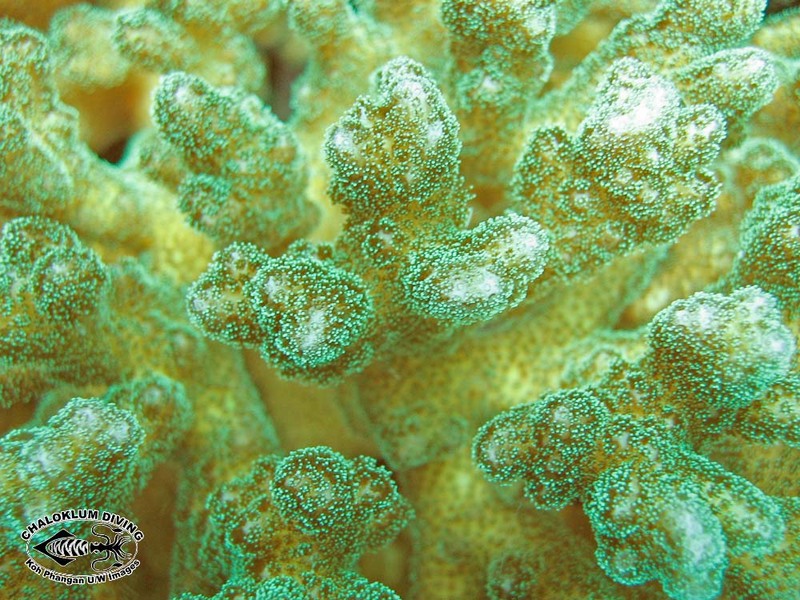 Cauliflower Coral seems to be one of the more persistent hard corals in the Gulf of Thailand. 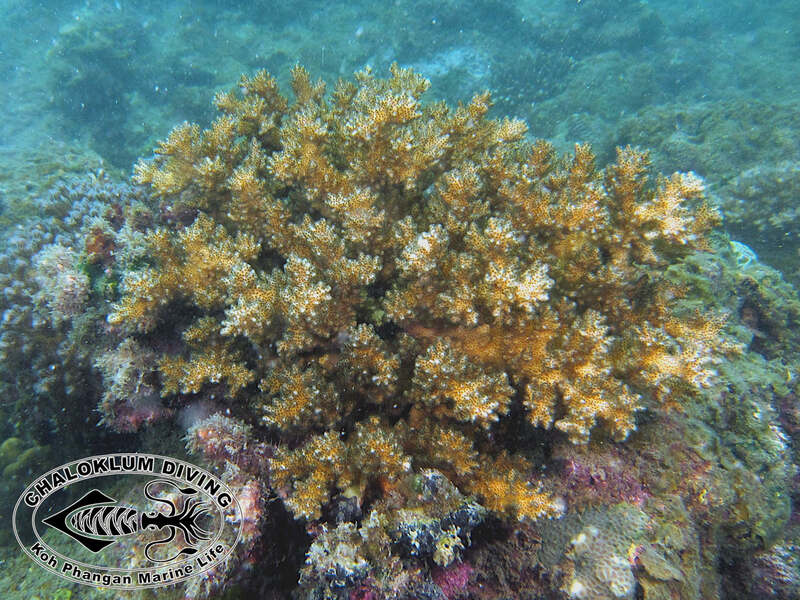 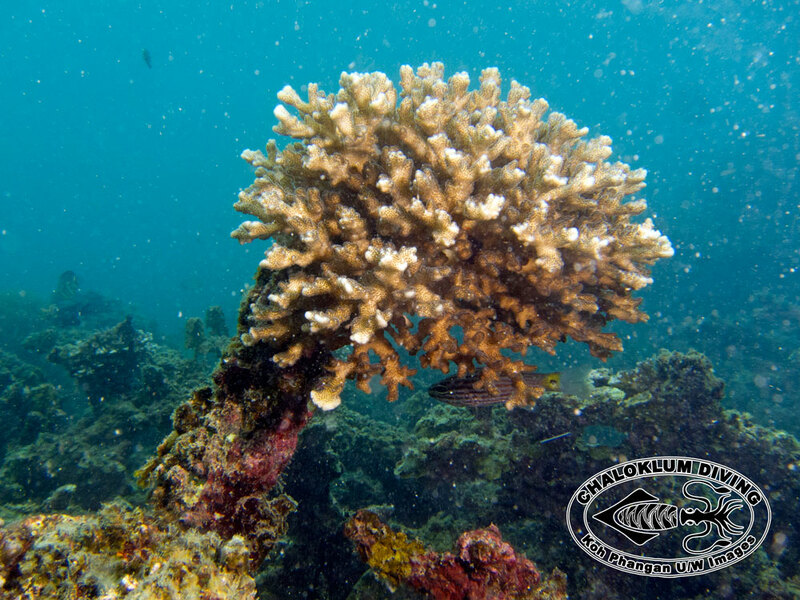 Common on the reefs of Koh Phangan but also a survivor in the shallows at Sail Rock! 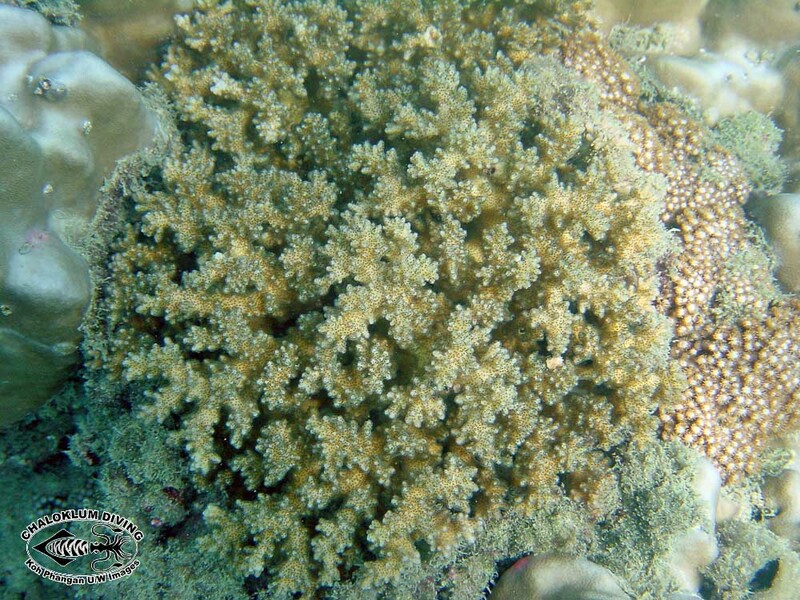 Host to many wee macro beasties.